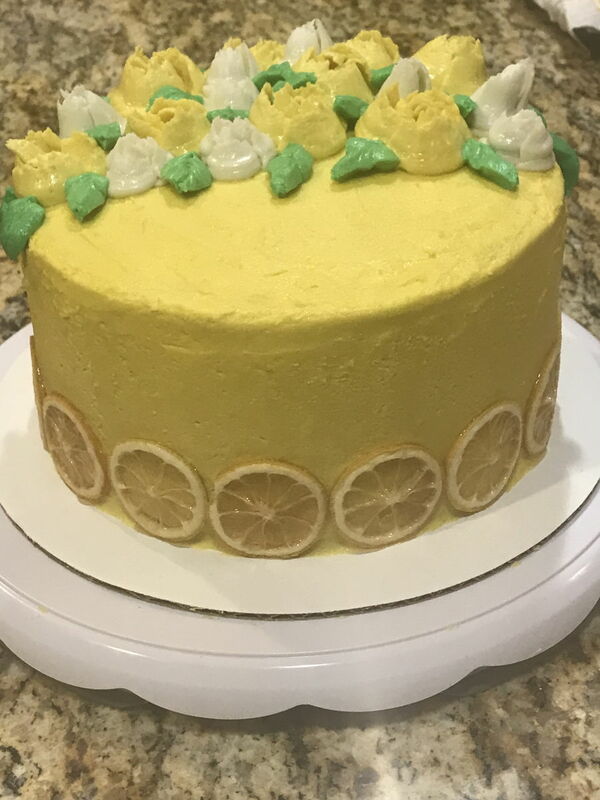 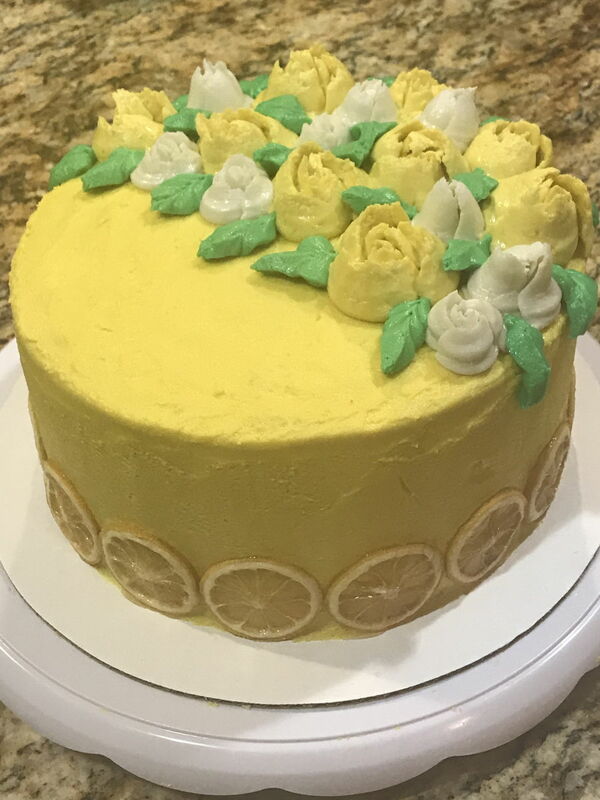 This is a 3 layer 8 inch round yellow lemon rose cake; lemon cake with lemon buttercream & a candied lemon border. 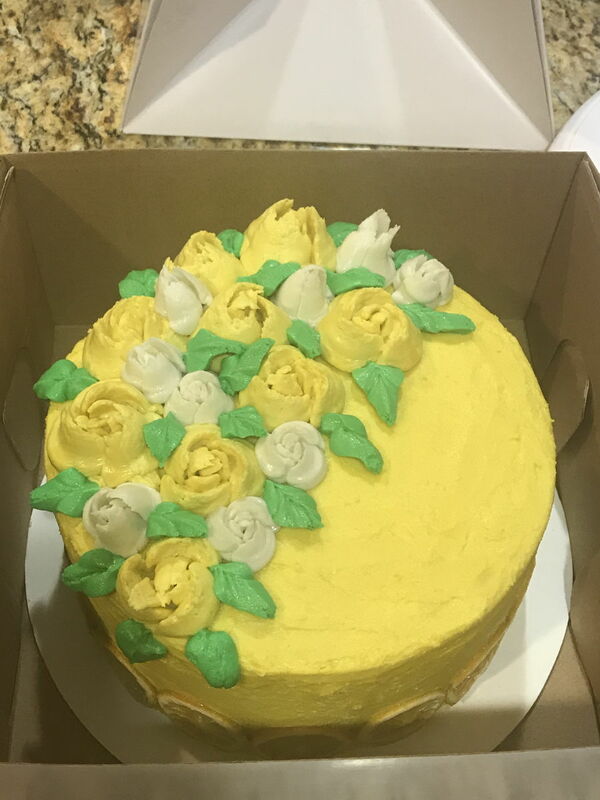 This was a special request for a friend's birthday. 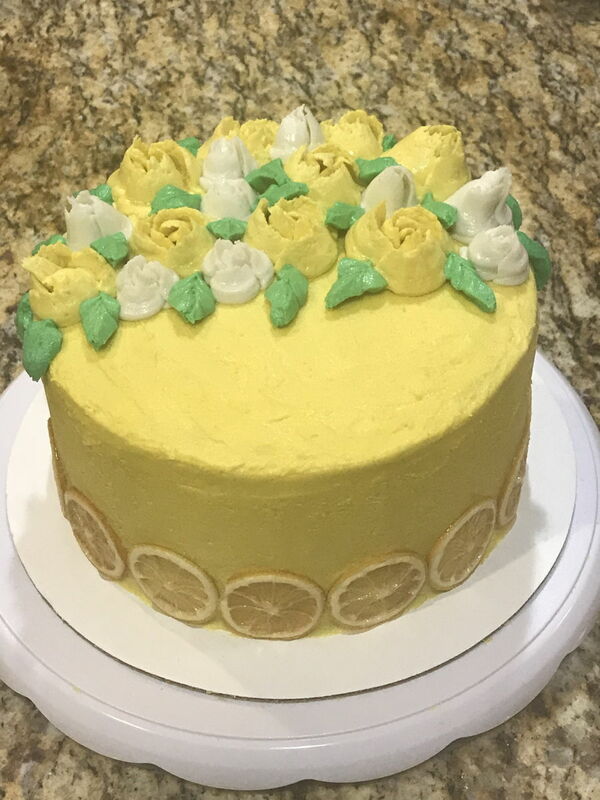 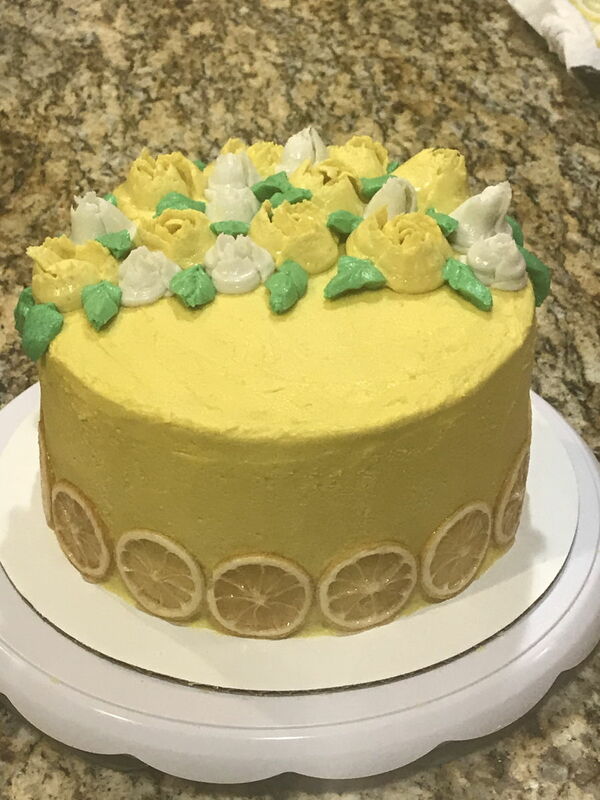 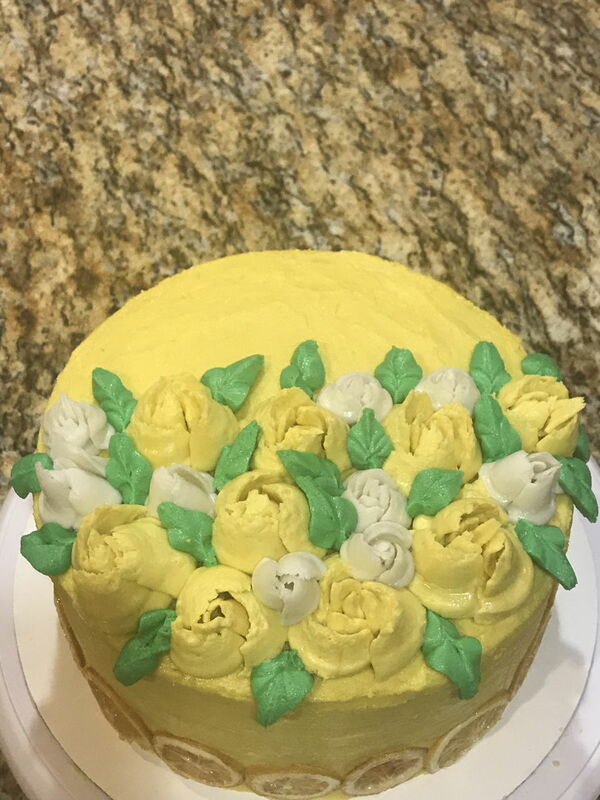 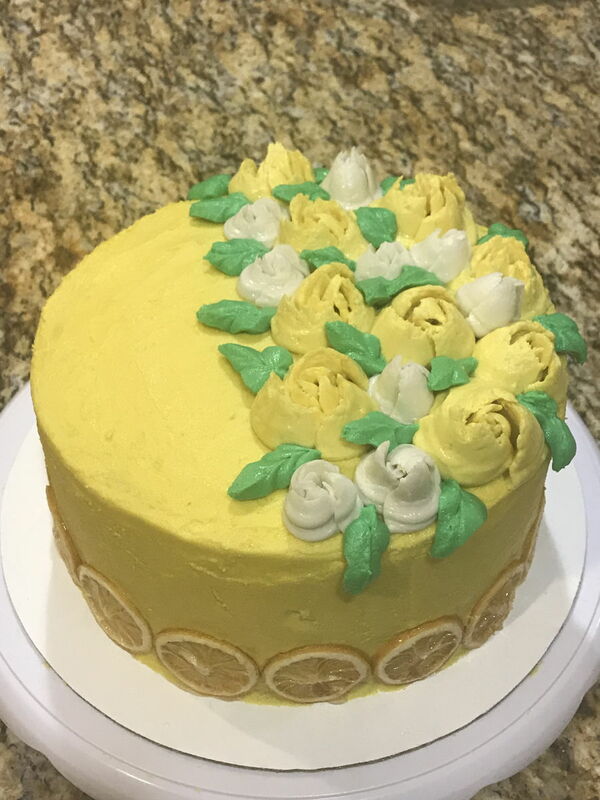 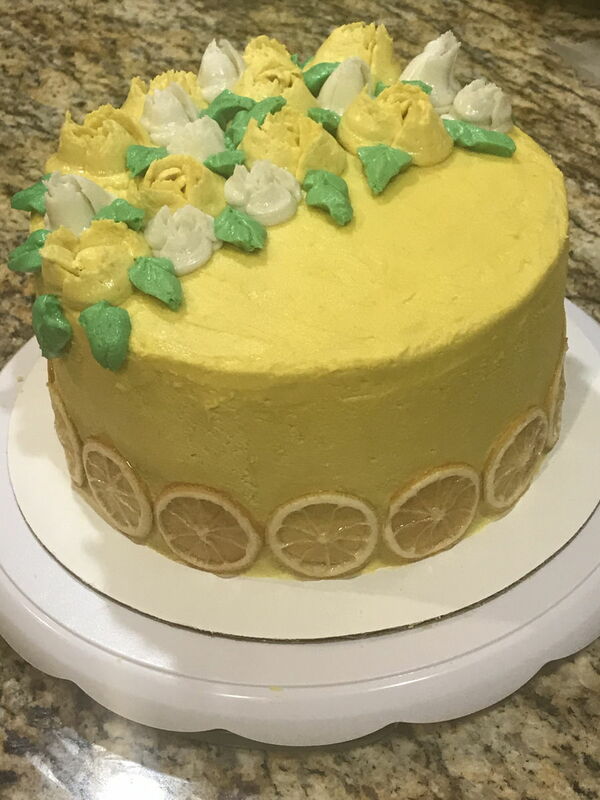 I call it my Yellow Rose of Texas cake.